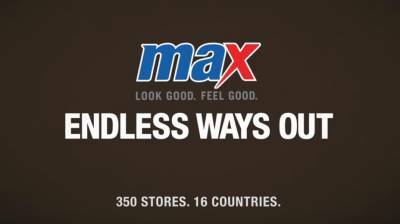 Max Fashion has launched its latest TV commercial today. The film has been conceptualized by JWT and brilliantly leverages the insight that there are endless ways to win your partner back after a tiff. Max has redefined fashion by being the only brand addressing the fashion appetite of the contemporary young family. The concept of ‘Endless Ways’ comes alive in this TV commercial as they show a young couple having a potential tiff which ends with smiles all around, as Max saves the day with its endless looks. “For Max, this being its third TV film, it was important to continue the journey of humour, fun and style. We decided to give it an angle that is not only different but also stands out in terms of fashion and music treatment. We really hope you enjoy the TV film and it leaves you with a smile”, mentioned Vivek Kakkad, Director, Curious Films, the production house that has shot the film.